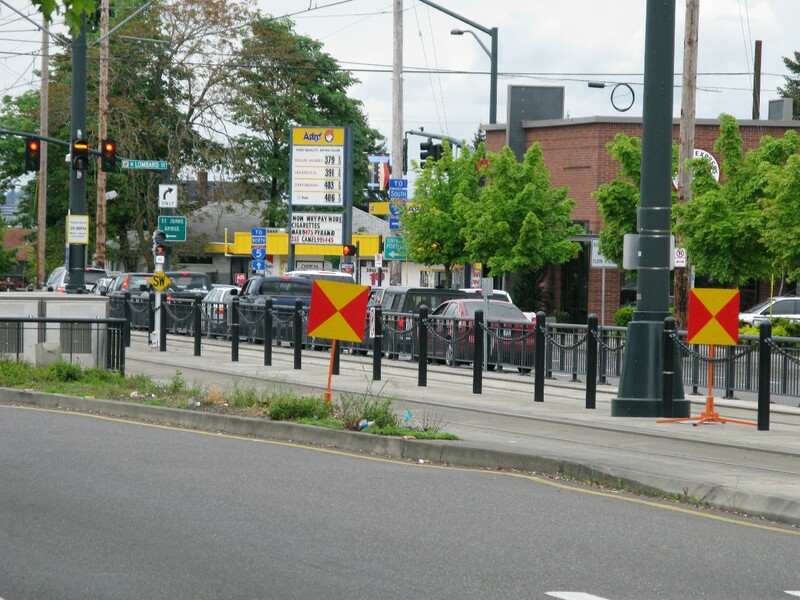 Editor’s note: Guest post time again, this one via Michael Andersen of Portland Afoot, PDX’s 10-minute newsmagazine about buses, bikes & low-car life. It’s excerpted from the January 2012 cover story and republished here in case you missed it. 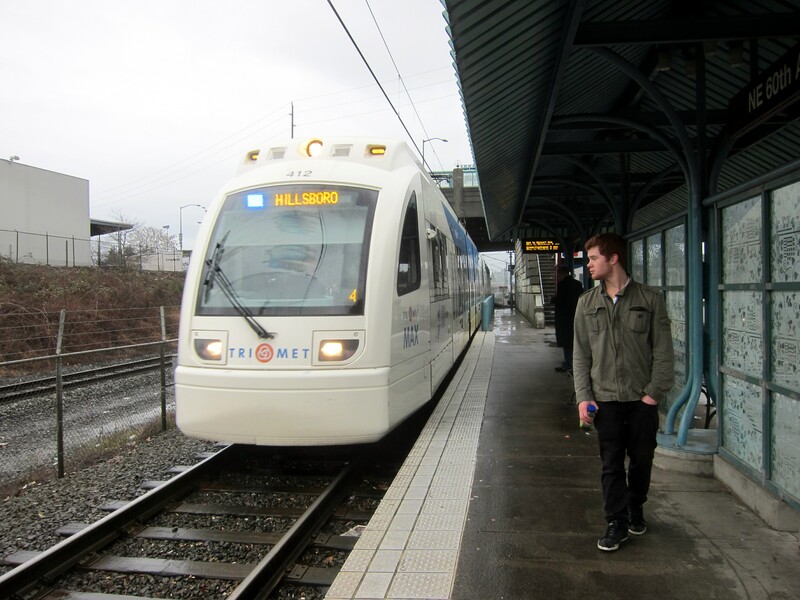 For more stories like these or to get a one-time email notice when the newsmagazine for Portland transit riders will be available for free on mobile devices this spring, visit PortlandAfoot.org. Rain? No sweat. But let’s confess: Portlanders don’t do cold well. 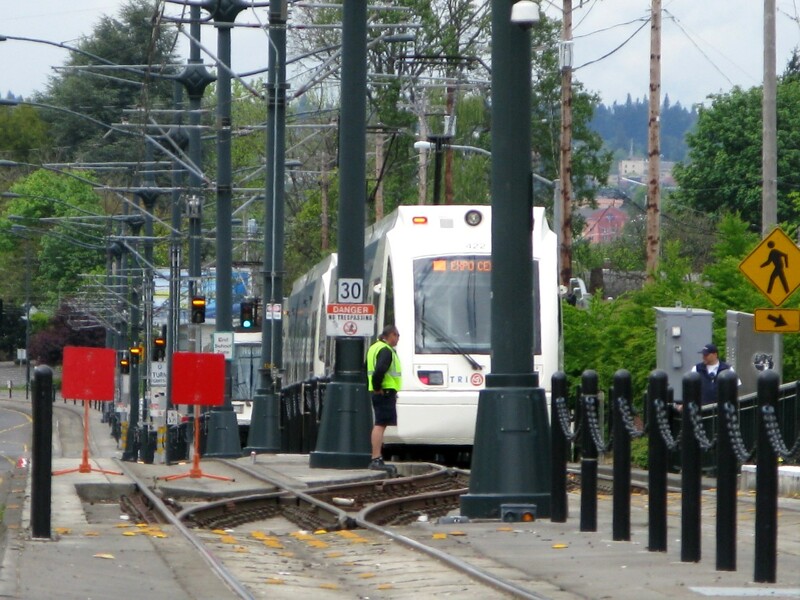 That’s why, last year, our 10-minute newsmagazine for transit riders put some of the smartest folks in town (including TriMet’s professional comfort geeks) in the hot seat and came away with a bunch of tips and secrets for doing winter better. 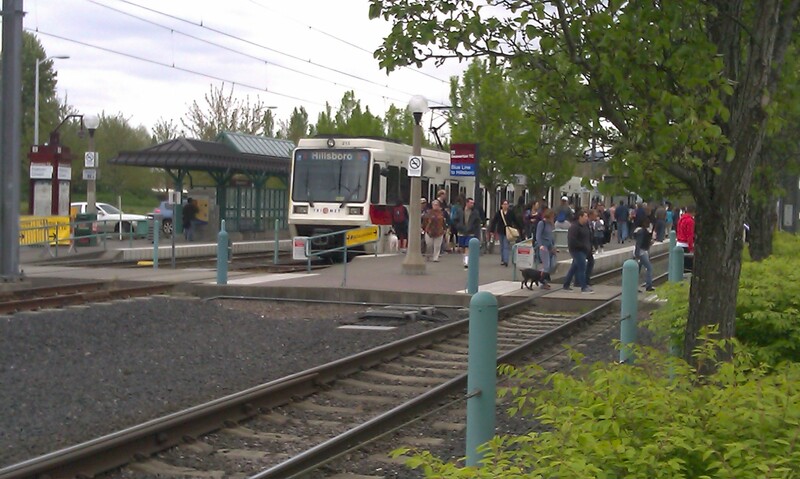 As a longtime MAXFAQs fan, I was proud to be asked to republish the transit-oriented ones here, and happy to help take the chill off the tail end of this winter. So read these, wipe that drippy nose and go catch some sun. Smartphone styluses start at $13, touchscreen-friendly gloves at $14. Beef jerky sticks, by contrast, are $1.30, and they work just as well when you want to check arrival times with gloves on. Try it. MAX doors don’t actually matter nearly as much as they might. 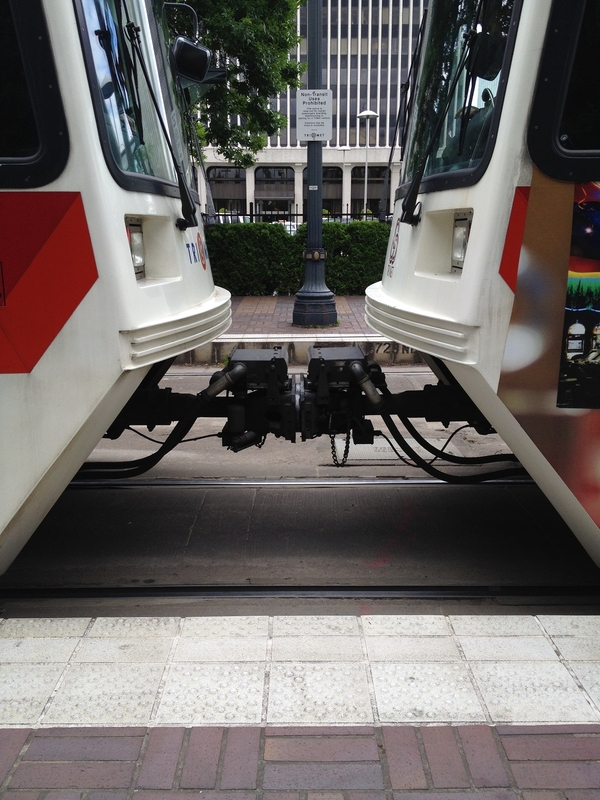 Here’s why: TriMet keeps air pressure inside its trains just a bit higher than Portland’s natural atmospheric PSI. That means opening doors send a burst of controlled air out – not a burst of cold air in. 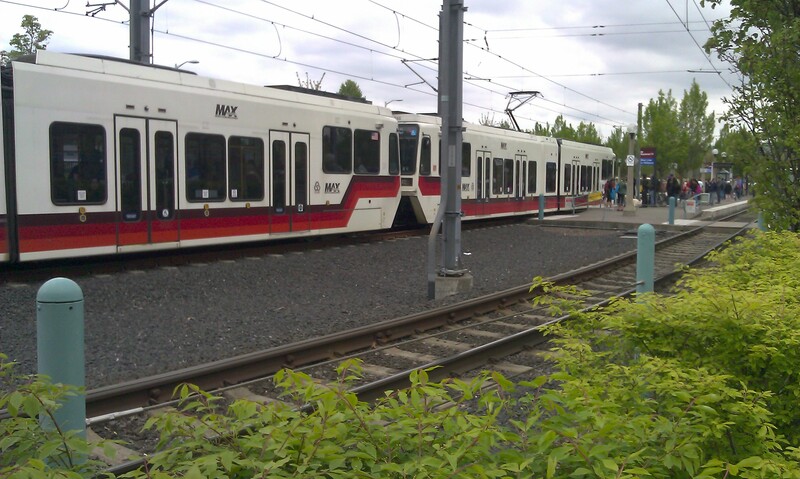 Type 1 MAX cars have overhead forced-air heating and cooling powered by the same electricity that moves the train (it’s maybe 2% of the total system load). Two thermostats in the return air ducts, on the ceiling just behind each driver cab, aim for a Jimmy-Carter-approved 68 degrees year-round. Like movie franchises, Decemberists albums and mediocre dates, the four generations of MAX cars peaked with the second and third. 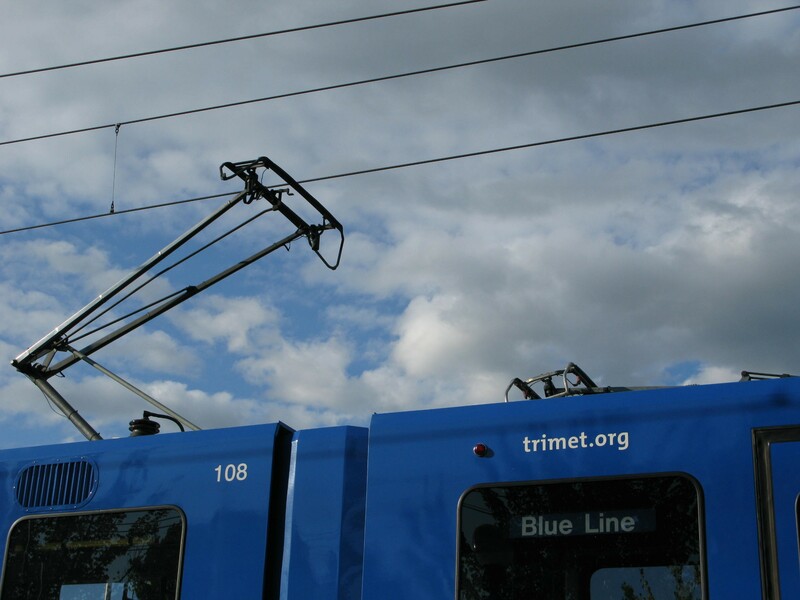 In 1997, TriMet introduced one of the great joys of Portland winters by rolling out Type 2 MAX trains with floor-level radiators that kick on whenever outside tempeature drops below 55 and inside temperature below 66. On the coldest days, avoid the middle sections of Type 2, 3 and 4 cars – their facing seats still lack heaters underneath. 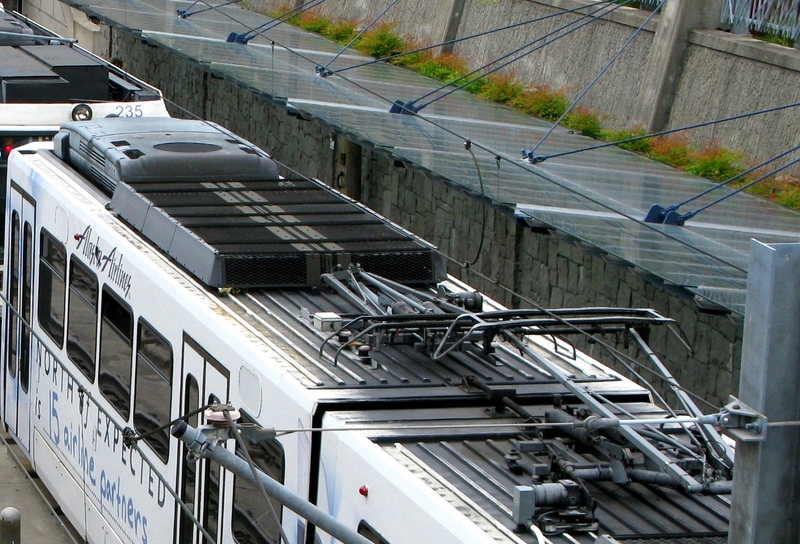 Starting with Type 3 in 2003, new MAX cars have used an advanced thermostat in their overhead heaters that automatically varies the target inside temperature based on outside temperature. When outside temperature is below 60, the target inside temperature is 66, gradually scaling up to a max of 72 when outside temperature exceeds 72. That means less sweat when you’re in long johns and fewer goose bumps when you’re in shorts. 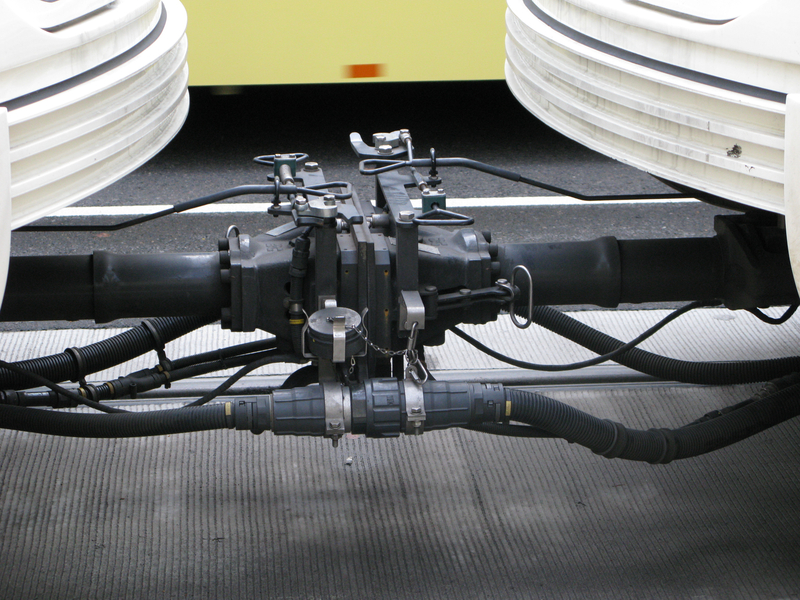 Like other autos, TriMet buses get all the heat they need from their engines. 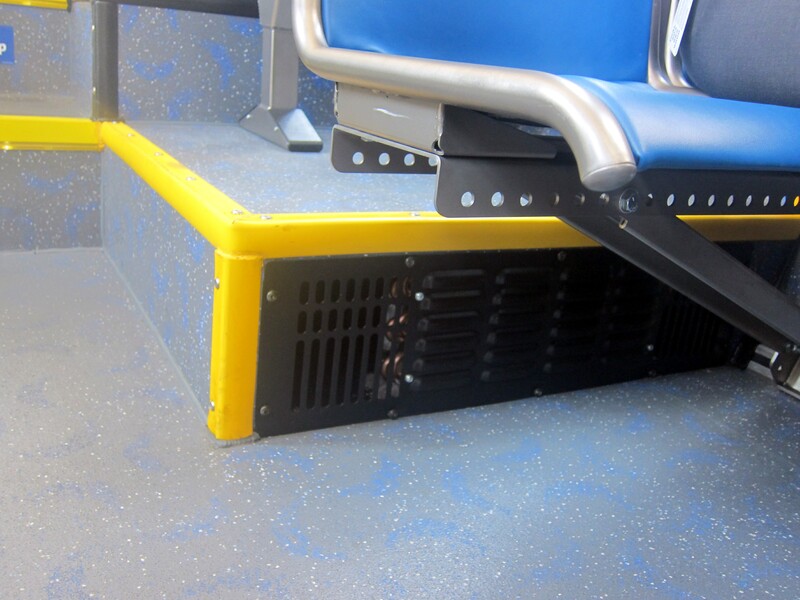 This one pumps heat forward through a duct system above the handrails, but the back rows of the bus are always hottest, thanks to heat leakage, less crosswind and (on the new, low-floor buses) being closer to the ceiling. Cold feet? Try the seat immediately in front of the rear door on newer buses, and the one opposite the rear door on the very newest ones. Most of the buses without these small heaters were phased out last summer with TriMet’s big bus purchase. 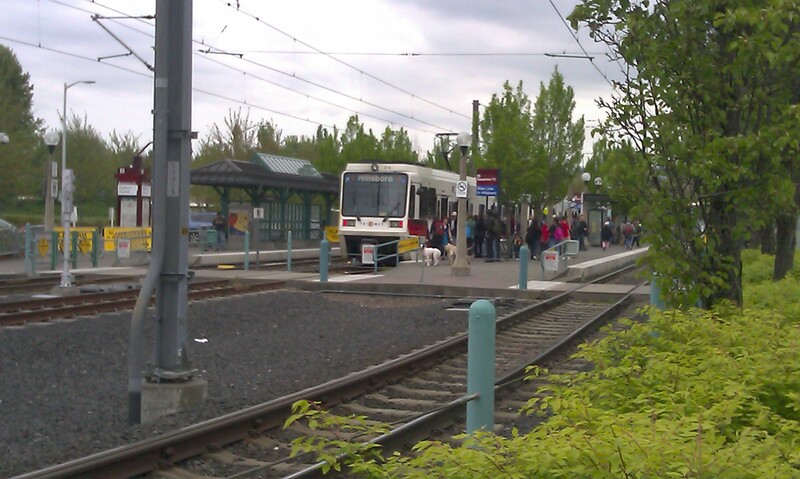 All TriMet buses are theoretically set at 72 degrees, but at their size it’s hard to keep to. 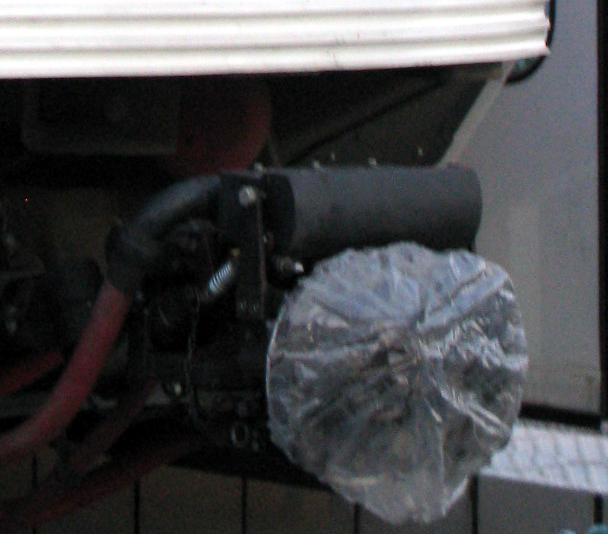 Bus thermostats are tested in off-hours by a six-inch hand thermometer hung from the extreme front of the right handrail. Here’s a science-approved trick to use while waiting for winter trains: Play a game on your phone. In a 2011 study, a team led by Nicola Swain-Campbell of the University of Otago in New Zealand found that people playing a video game were less sensitive to cold water than people watching television. But gamers should hope the battery lasts until the bus arrives. “If they stop while still cold, it might seem more intense as all their attention switches to the sensation of cold they have been ignoring,” Swain-Campbell said. 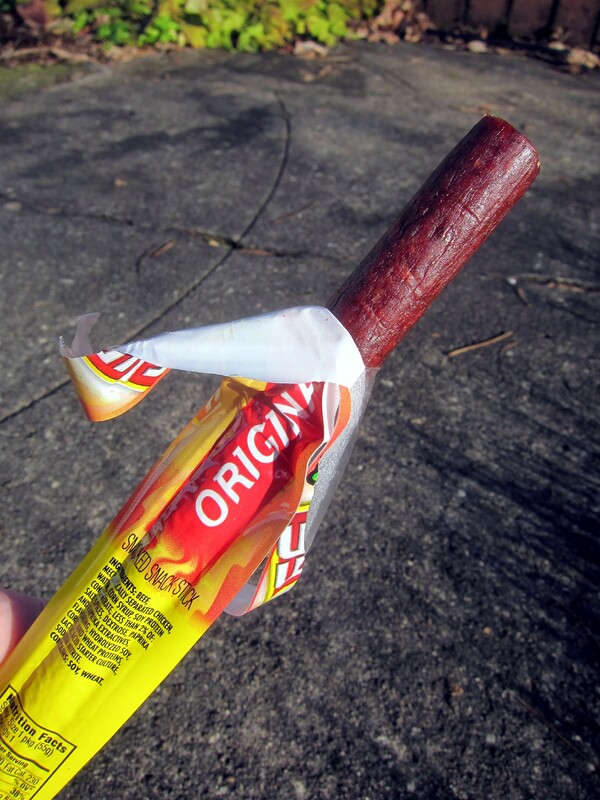 Nothing to do then but eat your Slim Jim. 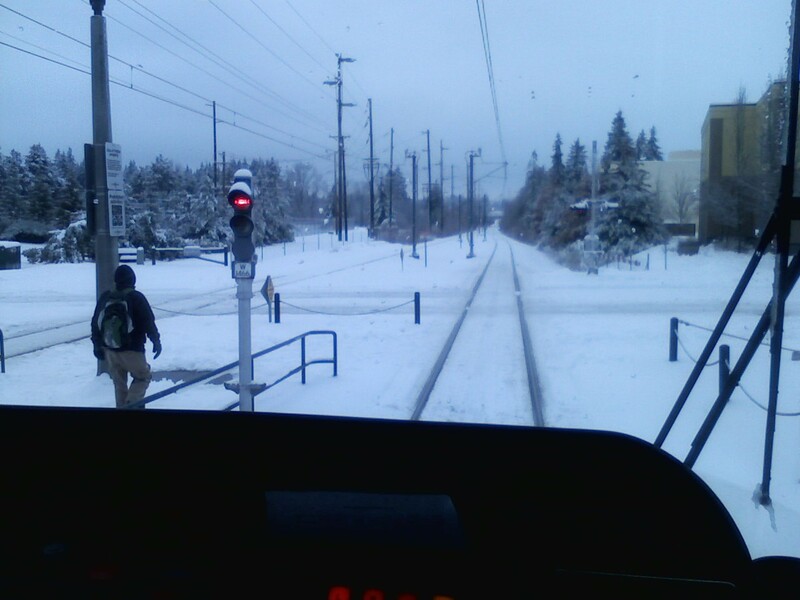 To date, most of what I’ve written about has been how things work under normal operating conditions because, well, that covers most of what people ask about since it’s what you encounter on a day-to-day basis (how fast do the trains go, what kind of signals do they use downtown, etc). But there are a lot of interesting things that go on outside of normal operations (e.g. 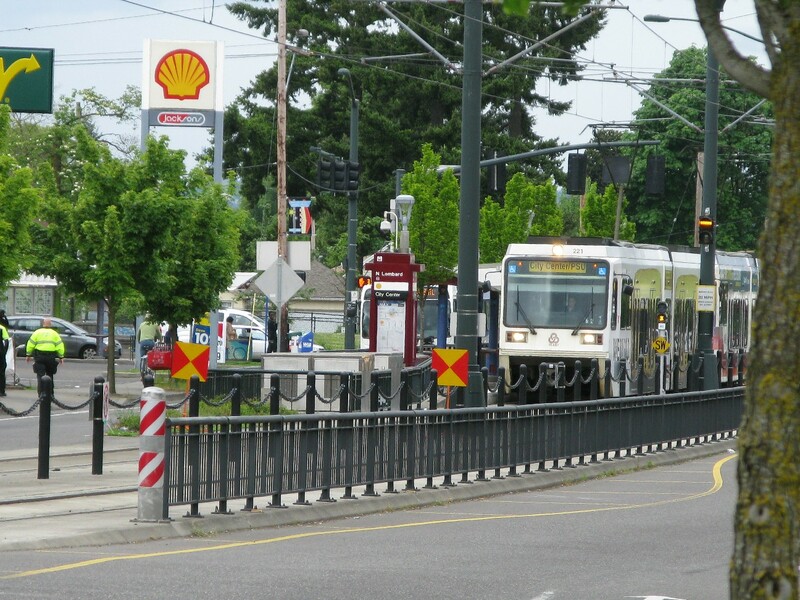 manual blocks), and if you were riding the trains through the recent weekend maintenance work between Sunset and BTC or on the Yellow Line, you would’ve seen some unusual moves, wayside flags, and signal aspects. If you missed it, it’s okay, other people went out and took pictures and are letting me use them, so thanks to them I’ve got some content for this post. What was the maintenance work for, anyway? As you may recall (and now that we’re heading into June, I expect this old entry to start getting more traffic if/when we get a heat wave), extreme heat conditions can adversely affect rail. In areas at risk for sun kink, which is a lateral slide in the rail caused by the rail buckling as it expands in the heat, slow orders (reductions in speed over a specified area) are issued. 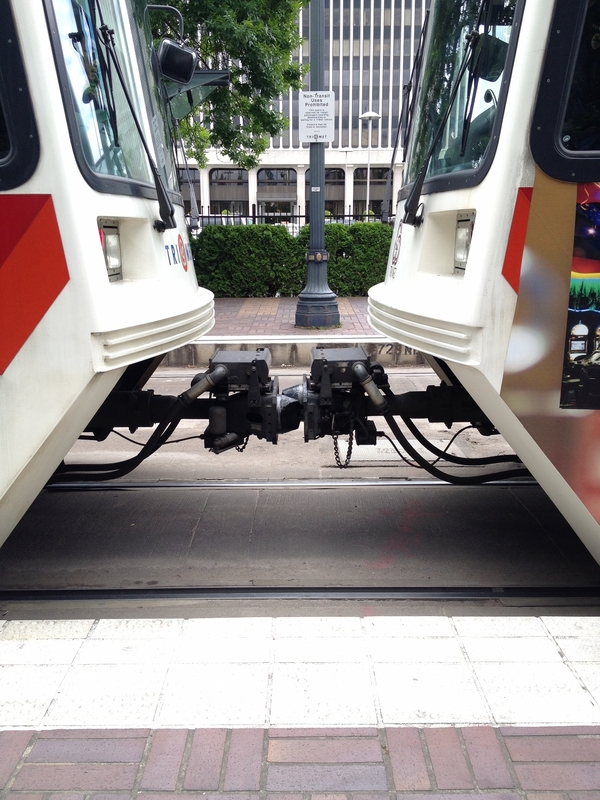 The expansion joints prevent this buckling by having gaps in the rail that give room for the rail to expand, thus absorbing the stress and force of the heat expansion. In order to put these expansion joints in, parts of the alignment had to be shut down. 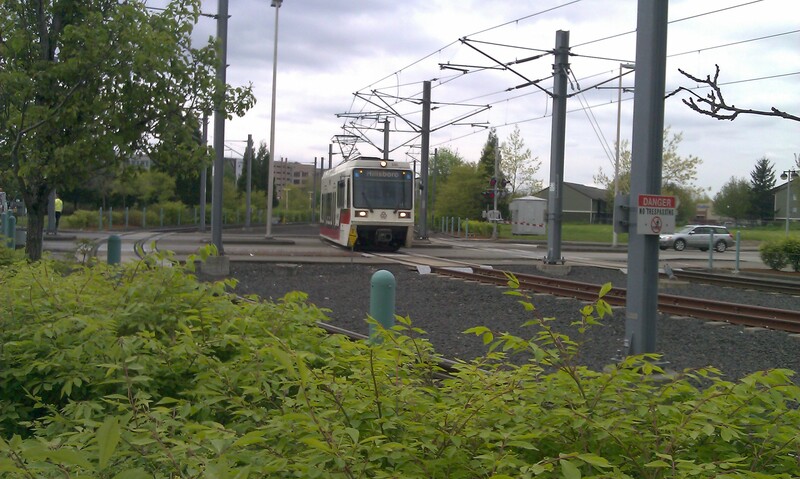 When a track is out of service, double red wayside flags will be used – one in between the rails, one immediately next to them (also seen at Sunset on Pdxrailtransit’s blog). You do not proceed past double red flags for any reason. 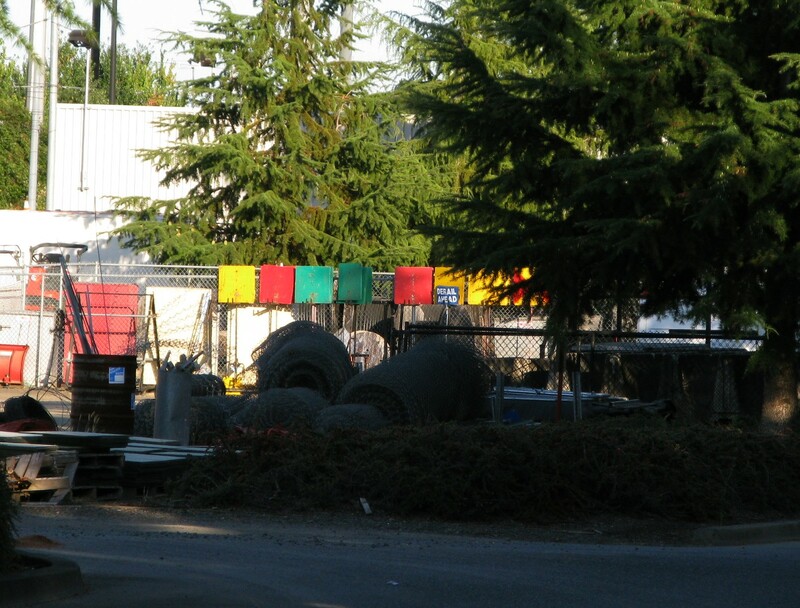 Double red flags will be preceded by yellow and red wayside flags like these. 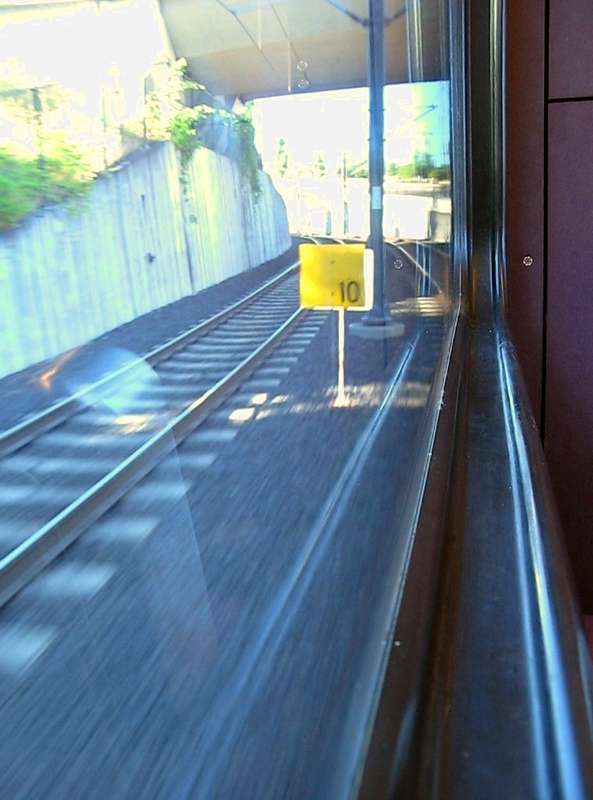 These indicate that a train will have to stop within 1000 feet. 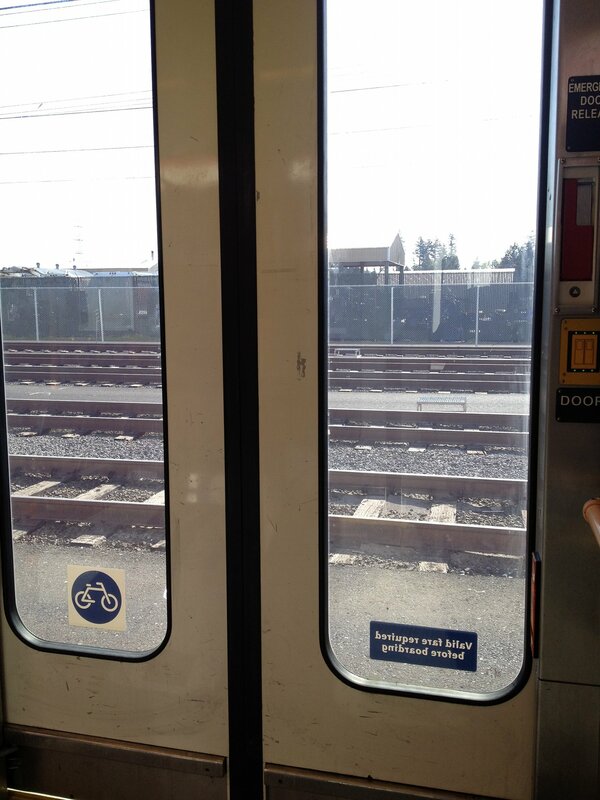 Here on Interstate, these were placed before the southbound platform at Lombard because trains were using the switches just north of the northbound platform to turn back. Time lock switch refresher time! 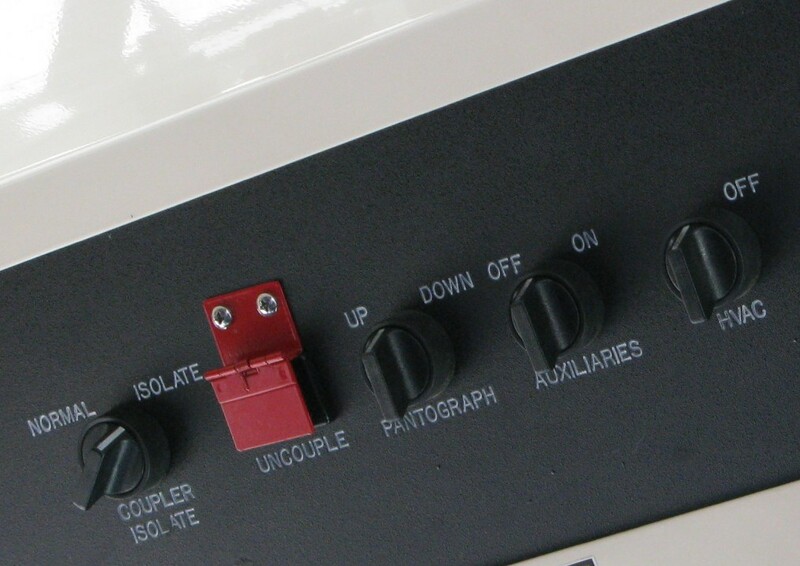 These summary switch indicators on Interstate inform operators of the state of the time lock switches. 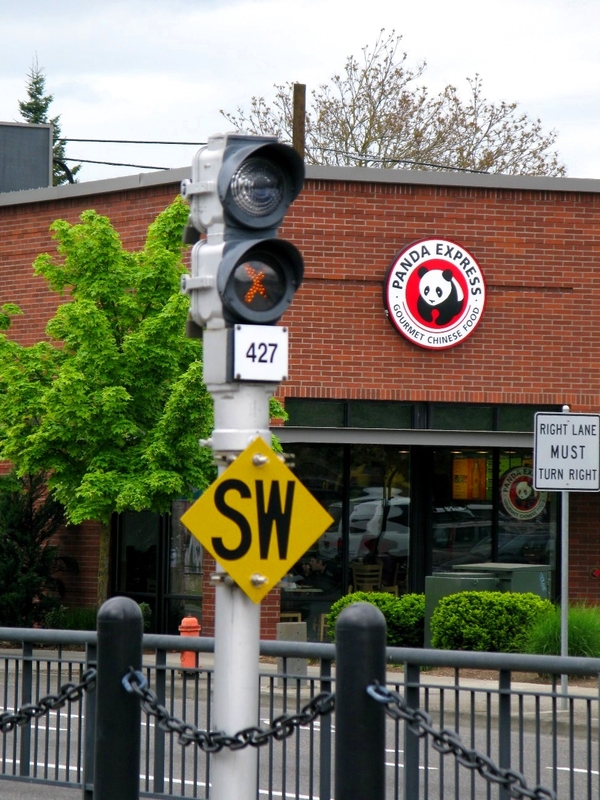 Under normal operating conditions, these display a lunar which tells operators that the switches are aligned normal and are locked. Once the padlock for the switch has been removed, the summary switch indicator will display a yellow X, as shown above. 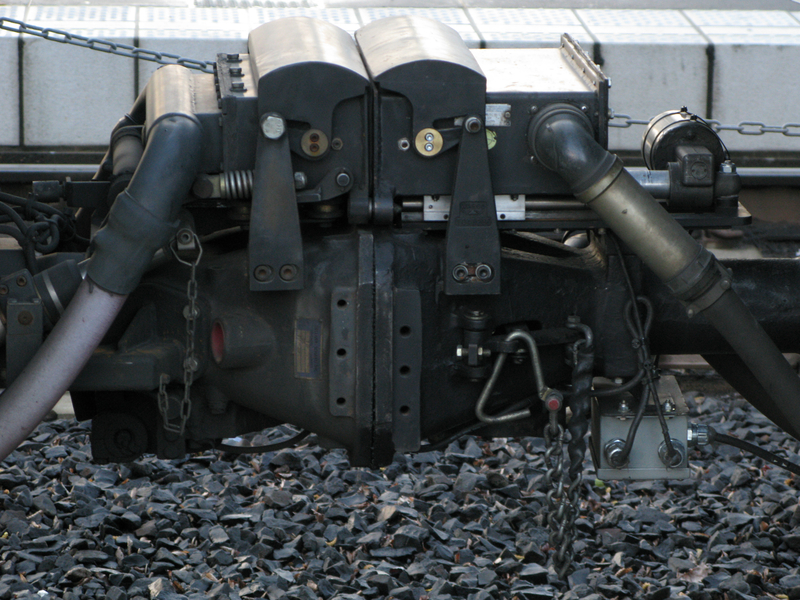 For this work, operators stopped trains just past the 427 A and 427B switches, went back to what had been the trailing cab of their train, and crossed over to the southbound track to continue service southbound. 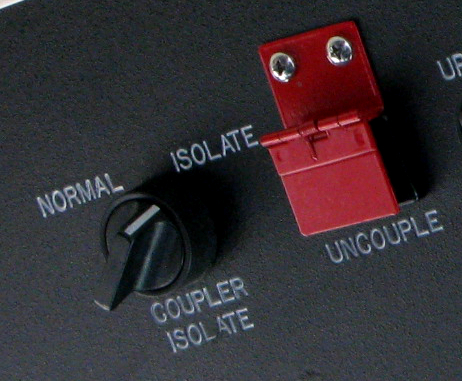 Because the padlocks were off so that supervisors could throw the switches to enable trains to make this move, this summary switch indicator for the 427 switches displayed a yellow X. 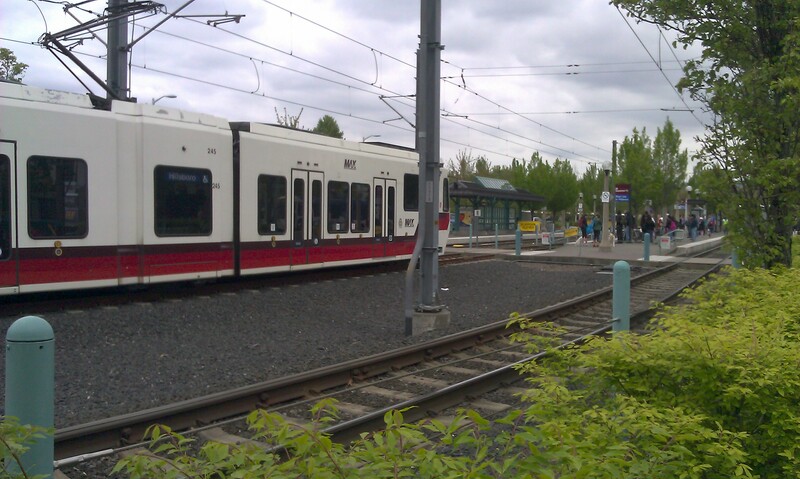 This series of pictures shows an eastbound train approaching BTC via the pocket track, which is normally the end of the line for westbound Red Line trains. 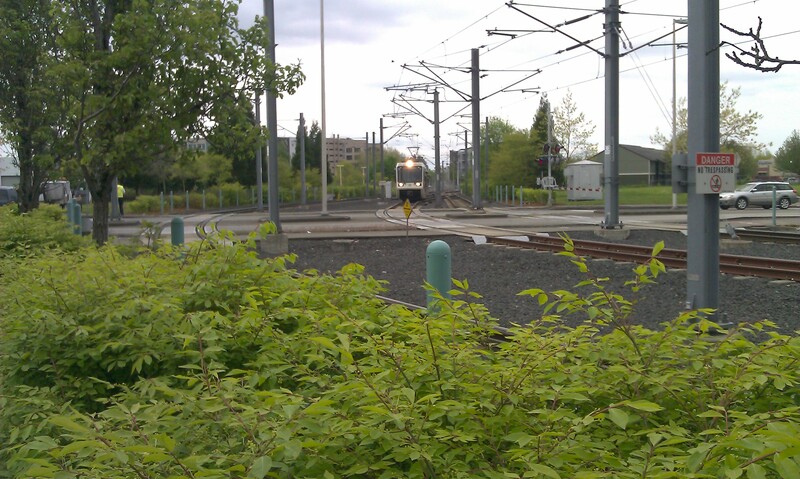 This train is going to head west from BTC out of this same track, this time switching over to the westbound main. If you’re not very familiar with the layout here, it may help to see the overhead view – even though it takes a while to get a train through time lock switches, there’s not really any alternative to doing turnbacks from this side, and the time lock switches are still much faster than requiring trains to run reverse (which would involve restricted speed, no signal protection, use of island circuits to cross gated intersections, etc). 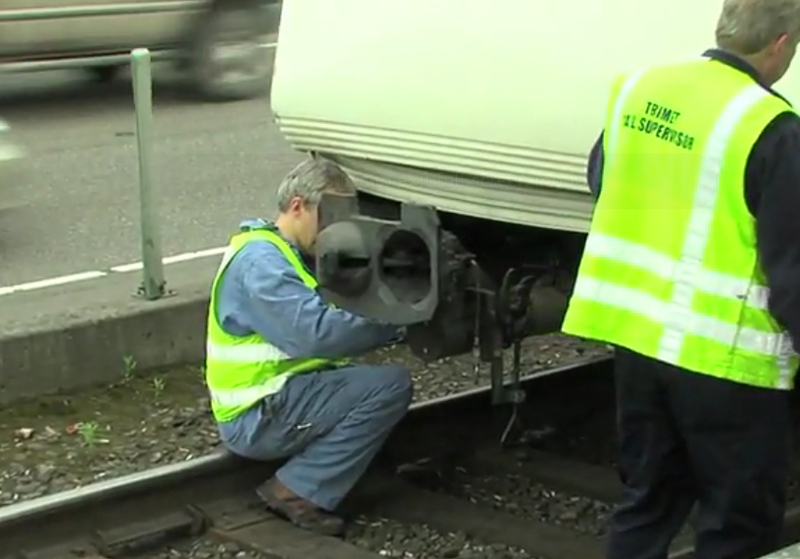 Similar to the first picture of the double red flags on the Yellow Line where you can see supervisors ready to throw the switches once the timer counts down, Pdxrailtransit got some pictures of supervisors at BTC who were on hand to throw these switches – remember that time lock switches are manual switches, not power switches, so they can’t be thrown from the cab of the train. Someone on the ground needs to manually throw the switch, and while operators can do it when necessary, it’s faster to have someone else taking care of it in planned situations like these. 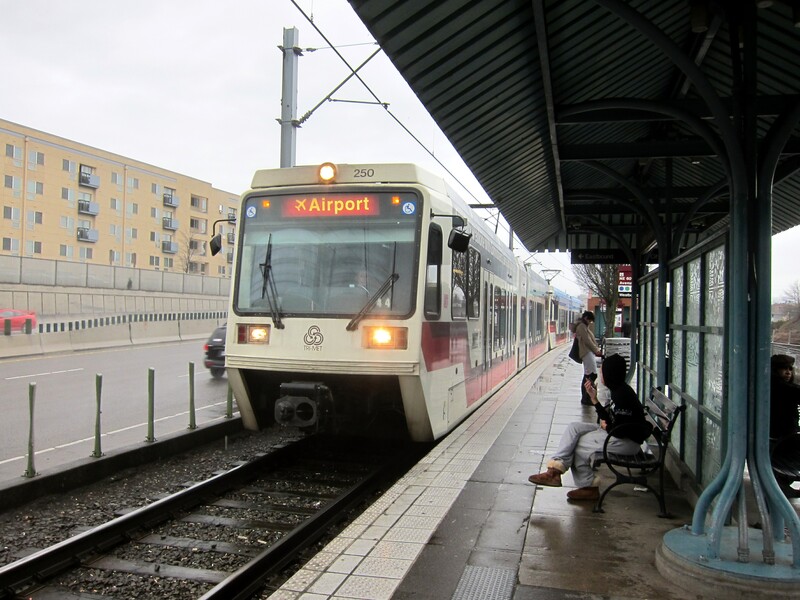 So sure, some passengers were not happy with the additional travel delays, but for the people who like seeing some of the more unusual operations of the system, there were some nice examples of that over the last few weeks. Silver lining, right? 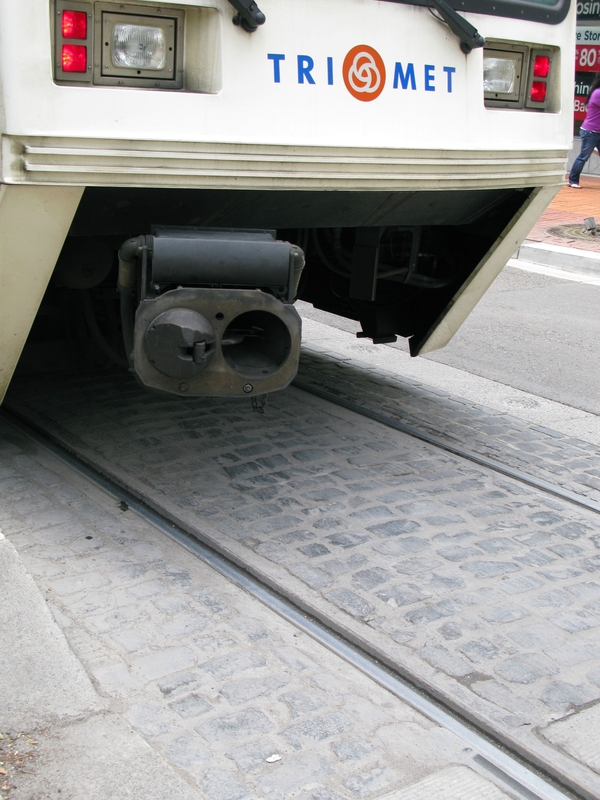 And the expansion joints will make those areas safer in hot weather, so really this benefits everyone. Still working on the improving transit speed follow-up post, which is getting very long and I need to either break it down into separate posts or stop being so long-winded. In either case, it’s not ready to be published yet, so here’s a quick and easy post. Question(s): Can’t you turn the heat down? Or up? Can you turn the air conditioning off, it’s too cold in here! This one gets asked fairly frequently, especially in the spring and fall when the temperature outside fluctuates so widely. 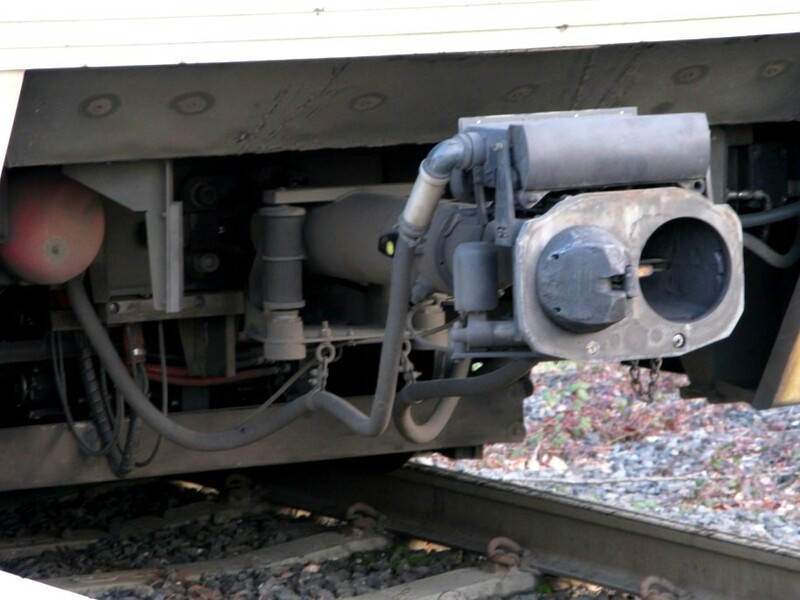 The HVAC (heating, ventilation, and air conditioning) system in the train turns on when the operator turns on the train’s auxiliaries (done when starting up a train to take it out of the yard) and should automatically adjust to the temperature outside. As shown in the above picture, the HVAC switch all the way over to the right lets the operator turn the HVAC off but that’s all. There are no adjustments for temperature like your car has. You can’t even turn the HVAC back on with that switch – notice how there’s no “on” side. 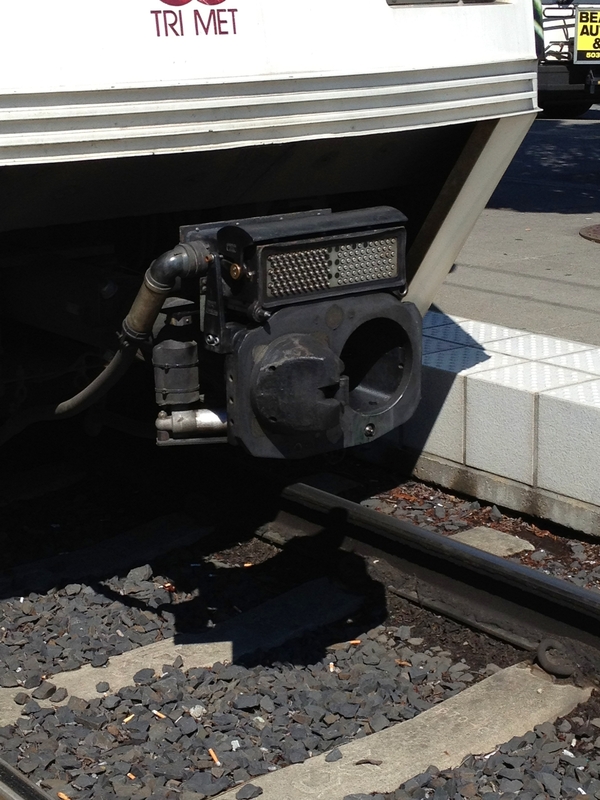 Once the HVAC system is off, the only way to turn it back on is by auxing the train off (the switch next to it) and auxing the train back on. 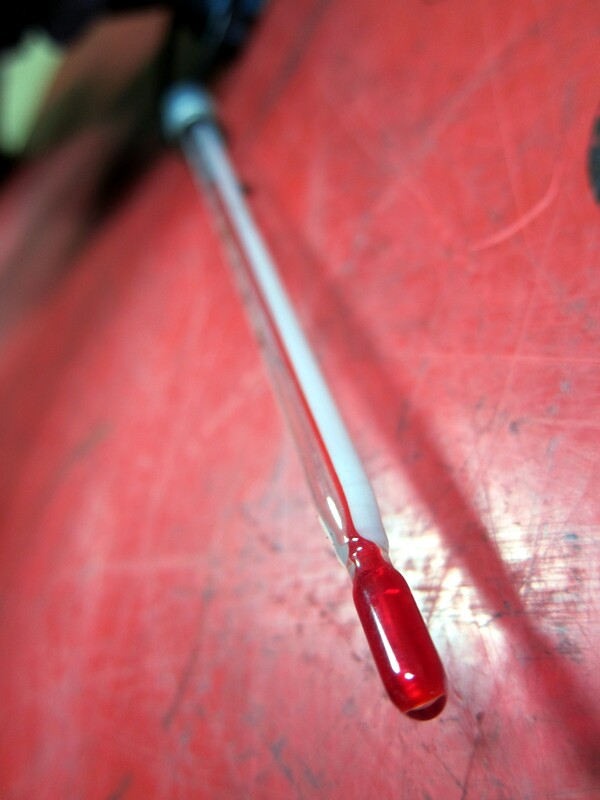 This is generally only done as part of troubleshooting if the HVAC system has a fault and needs to be reset. 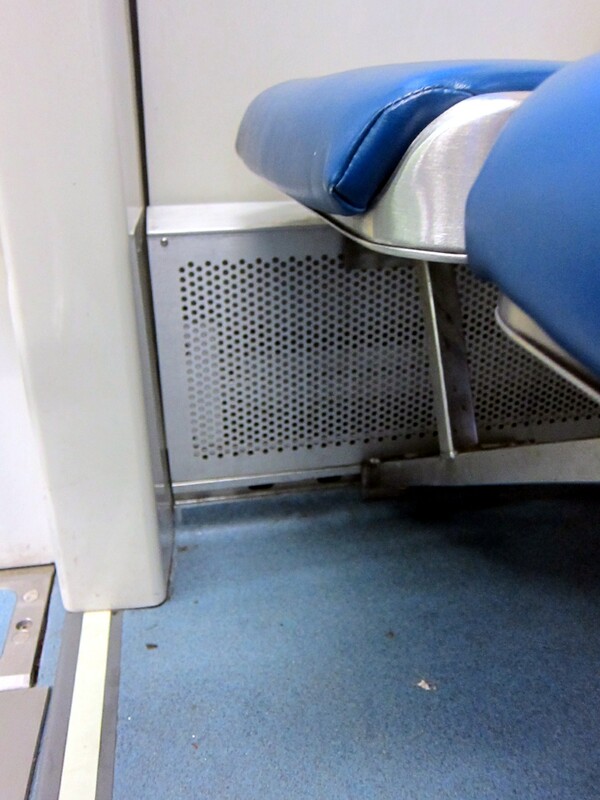 So no, there’s not a lot that can be done with the heat or A/C for the train passengers short of simply having them on.